For more than thirty years, Pingelton Law Firm has provided high quality legal services to people throughout Missouri. Centrally located in Columbia, Missouri, the firm has also consulted for people around the nation on cases if needed. Experience. Throughout a career spanning more than thirty years, Mr. Pingelton has had a wide variety of legal accomplishments throughout Missouri. He prevailed in one of the last paternity jury trials in Missouri. (The Missouri legislature has since abolished jury trials in parentage cases.) He won the last "alienation of affections" case in mid-Missouri, obtaining a jury verdict for both actual and punitive damages in Boonville, Cooper County, Missouri. ("Alienation of affections" was a venerable claim in Missouri, allowing a person to sue someone for stealing their spouse's affections. The Missouri Supreme Court has since abolished this type of lawsuit, believing it had become morally outdated.) 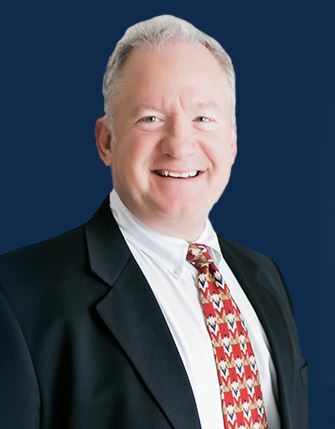 Dan Pingelton has an excellent record of winning cases throughout Missouri. Take a look at other unique accomplishments in each of our areas of practice, below. Personal Injury. Mr. Pingelton created Missouri law in 2000 when he won an appellate decision establishing the right to sue for injuries caused by a sexually transmitted disease. M.D. v J.J. decision. Since that case, hundreds of people have sought his advice and representation. Mr. Pingelton has won other cases for injured people, including wrongful death, serious burns, fraud, and many traumatic injuries from automobile accidents. Family Law. On the Family Law front, Mr. Pingelton established Missouri precedent that a special type of order (called a "QDRO") can be used to collect past-due child support and maintenance. Baird decision Mr. Pingelton has shared advice with hundreds of others, including other attorneys as well as clients, on how to use this process to collect important support. Please click on our Family Law page to review detailed information. There are only a few mid-Missouri attorneys who have "seen it all" in family law, and Dan Pingelton is one of them. Criminal Defense. Mr. Pingelton continues to offer specialized criminal defense for certain types of cases in state and federal courts, focusing especially on defending serious felony cases. Examples include fraud, Internet crime, white-collar crime and felony drug charges. For some misdemeanor cases, he often refers matters to other counsel who he knows possess excellent standards of quality as well. Education Law. When he served as an administrative hearing officer, Mr. Pingelton was the first Missouri attorney to have one of his written decisions chosen for publication in the Individuals with Disabilities Law Reporter. For the past fifteen years he has represented parents of students with disabilities in various matters against recalcitrant school districts, including "due process" hearings and "Section 504" complaints.